A technical tuning process designed to elevate pitch or frequency in the sound for a piano that has received insufficient care over an extended period in time. 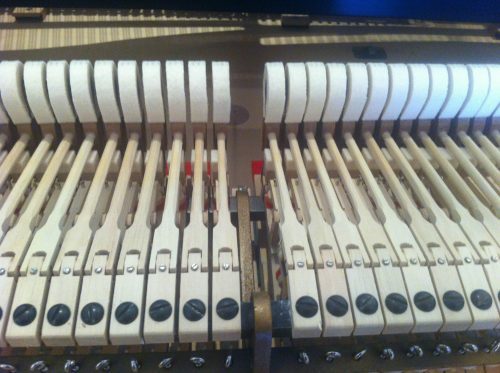 A standardized maintenance process of internal mechanical components of the piano. 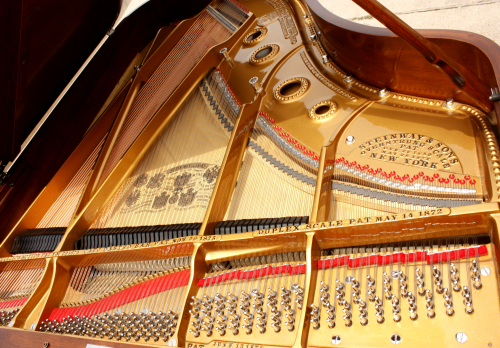 This service will extend the life of your piano and enhance the overall durability. A technical adjustment to the piano’s tone quality to enhance the brightness and/or resonance. A piano that has gone without tuning for an extended period will drop far below its designed performance pitch. It’s important to note pianos do not go sharp or flat uniformly. Strings invariably change independent of each other. A procedure technicians call ‘pitch raise’ may be required. A pitch raise is a tuning process that elevates the piano to the point that it will accept and hold an actual tuning by the technician. To actuate a fine tuning, the tension of all the strings is so close to their proper pitch that altering the tension of one string should not affect the others. Pianos must already be fairly close to standard pitch in order for them to be finely tuned. 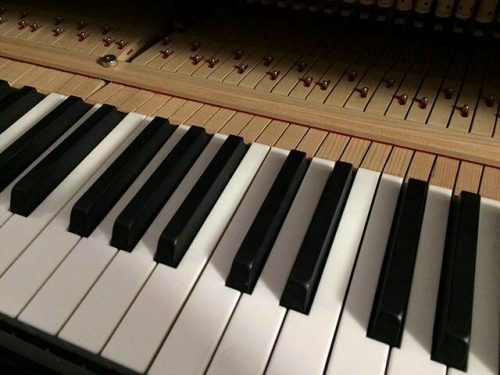 If a piano requires a pitch raise, the additional load or pressure on the piano’s structure causes the pitch of the adjacent strings to change. The pitch raise process requires the technician pull each string several times to level the entire range. A piano is a major investment which deserves to be protected. Regular maintenance can head off preventable problems. But most importantly, your piano will sound its best and give you and your family the most satisfaction with regular tuning and proper maintenance. Periodic mechanical service is required if action parts no longer provide consistent function when the piano is in use. Tuning a piano adjust strings and pins to a predetermined pitch. Action regulation is the adjustment in the mechanics of a piano. Dimensional changes in wooden parts created by humidity, cloth settling, felt or buckskin compression, as well as the effects of wear and tear, will eventually lead to an unplayable unit. Like the moving parts of a fine watch, there is a teamwork aspect to piano regulation. The mechanical parts of a piano that transfers energy from the hand to the strings is known as the action. Dampers controls string vibration and sustainability. Levers, dowels and springs connect the pedals to the action and are considered the trapwork. The adjustment of the piano’s tone quality and sound is often referred to as a voicing. The tone quality of the piano can be changed without changing the pitch or frequency. Qualified piano technicians can change the timber and personality of an instruments from bright and strong to a mellow and delicate. The amount of change will depend on the overall condition and design of the piano.